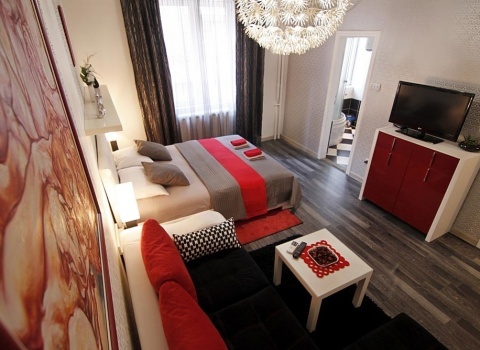 The heart of Belgrade lends itself to TZAR apartment. 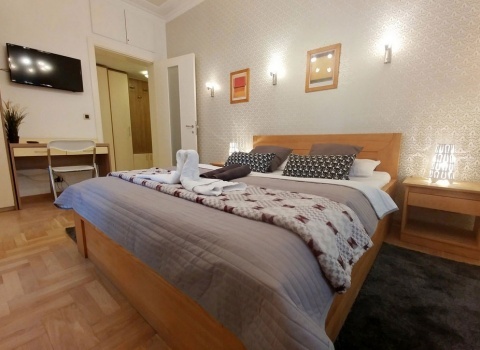 Located in the upper Dorćol area, it’s a mere 3 minutes walk from Knez Mihailova, and just a few feet away from Kalemegdan. Apartment is gut renovated and neatly organised. It contains a commodious room, a bathroom, a corridor and a kitchen with an adjoining dinning room. 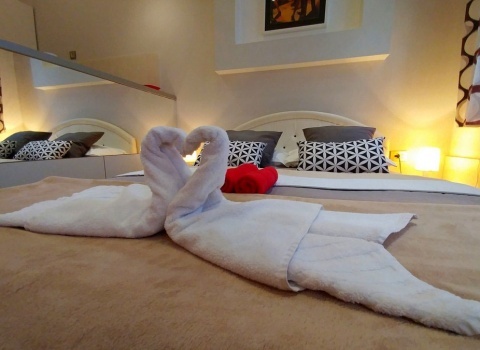 As you can see from the photos there is a king size double bed in the bedroom. 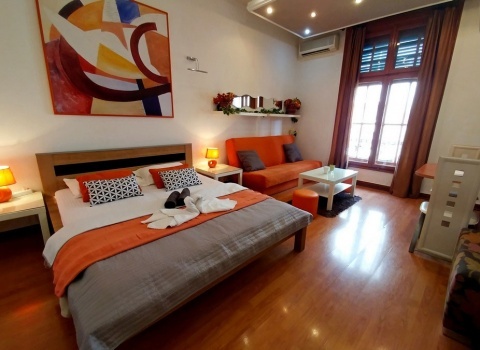 The dining room area has an additional couch which makes TZAR apartment an adequate accommodation for up to three people. 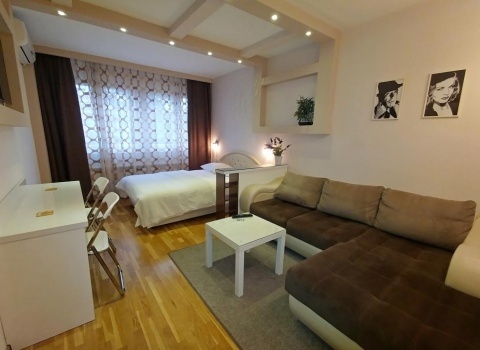 Cara Uroša is a one-way street and almost traffic free, which in turn makes the apartment fairly peaceful and quiet. Windows run full width of the apartment, allowing plenty of natural light and a magnificent view of foliage basking in the afternoon sun. 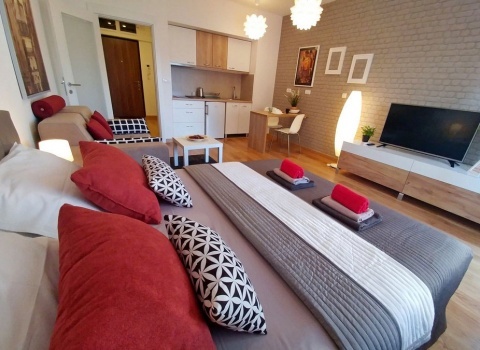 Location speaks for itself: Skadarlija, Republic Square and Terazije are all a couple of minutes walk from the flat. The neighbourhood is literally cluttered with night clubs, restaurants and cafes. For those who prefer a quiet walk along the river banks, both Sava and Danube quays are ten minutes away. If you care to take a swim, an indoor (as well as outdoor) swimming pool is ten minutes away on foot. If you are driving, on street parking is available along the surrounding streets as well as one of the public garages, which are less then ten minutes away on foot.